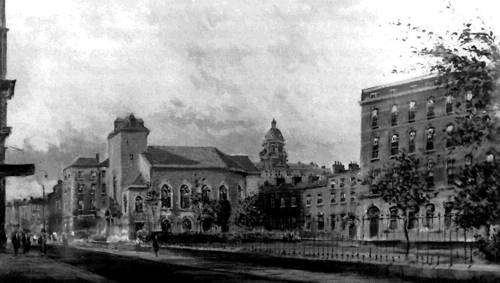 Wolfe Tone Park is located on the site of the old St Mary’s Churchyard: the cemetery attached to the church on Mary Street. For almost three centuries the park served the community and its visitors as a place to respect the dead and, later, a place to embrace the living. 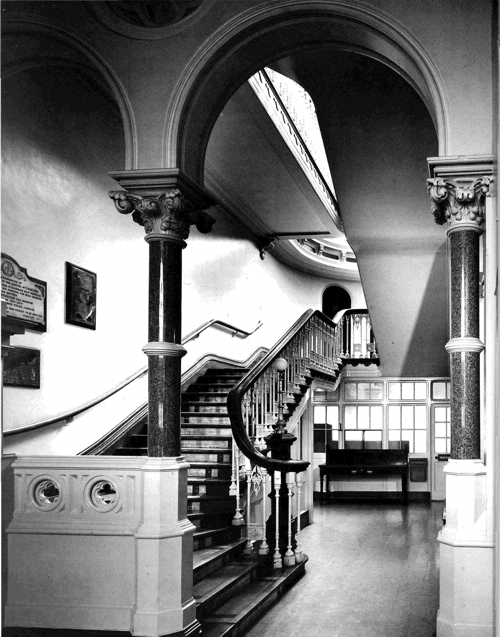 In 1718, six enlightened surgeons1 established the first voluntary hospital in the UK & Ireland, ‘The Charitable Infirmary’. 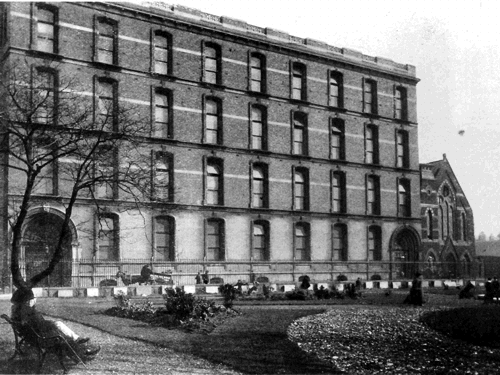 The magnificent Jervis Street Hospital was the realisation of their vision, and the beginning of a charitable movement that Dublin, and Ireland, is renowned for today. 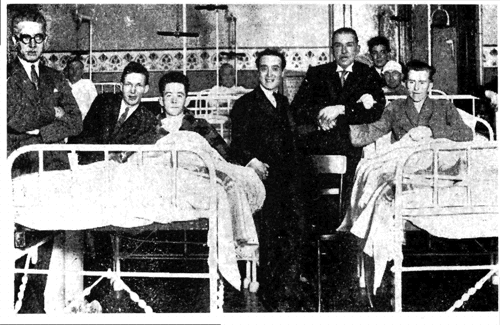 The initiative was the inspiration for many more Dublin hospitals built around that time. 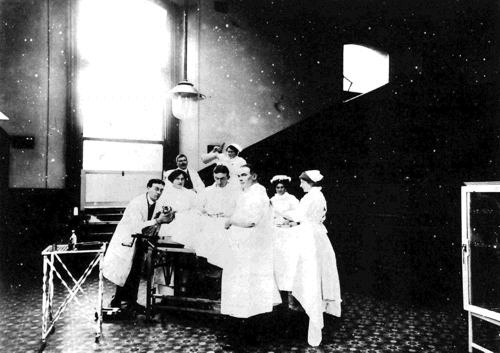 Handel’s first performance of The Messiah, 1741, was a fundraiser for the Jervis Street & Mercer hospitals. The funds for these new hospitals were generated by the good people of Dublin who, bound by a sense of social responsibility, invested in their own communities. 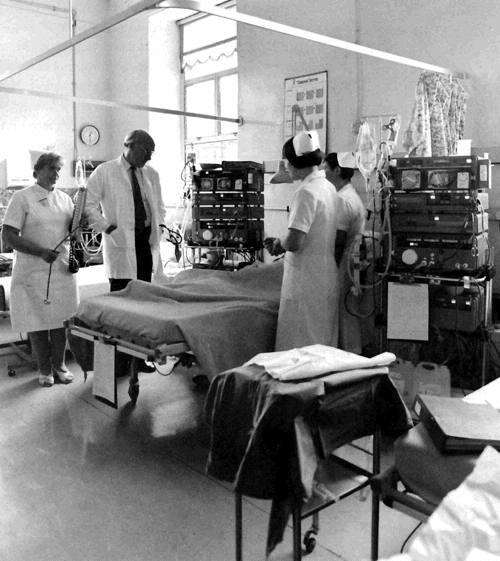 In fact, Handel’s first performance of Messiah, 1741, was a fundraiser for the Jervis Street & Mercer hospitals. 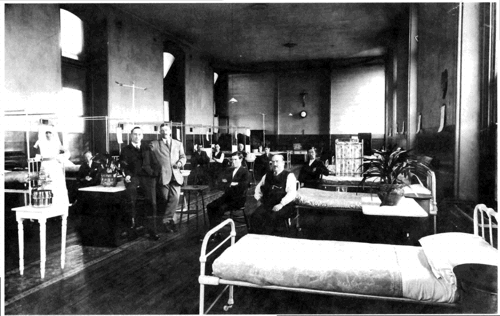 The Jervis Street hospital survived independently and entirely on donations until the establishment of the Irish Republic in 1922. Only months earlier, as the city tore itself apart, the wounded found sanctuary here, under the same care given to their enemy; just as it had been for the soldiers and rebels who escaped to ‘The Jerv’ in Easter 1916. 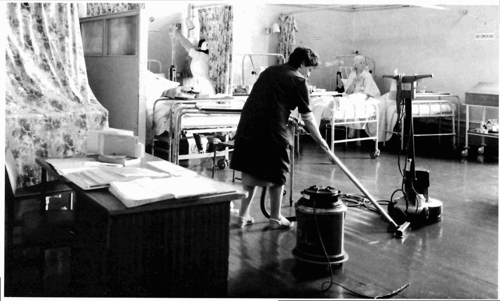 The hospital then operated with state intervention until services were relocated to the new Beaumont Hospital in 1987. 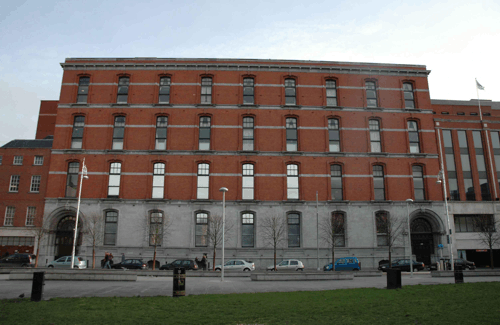 Theobald Wolfe Tone was born and educated across the park on Stafford Street; now Wolfe Tone Street. He was baptised in the nearby church on Mary Street. So too were playwright Sean O’Casey and the Earl of Charlemont (Irish Volunteers). The churchyard became the final resting place of famous and infamous parishioners2 before being utilised as a park and playground in 1940. 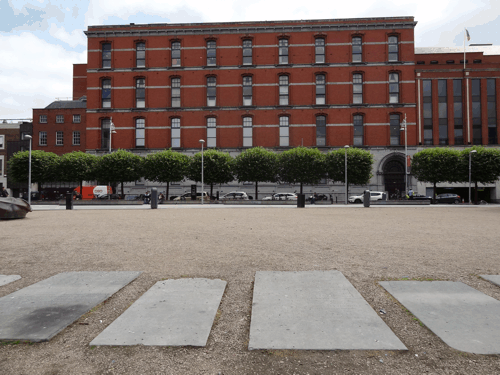 By 1966 the park was transferred to Dublin Corporation who, commemorating the fiftieth anniversary of the Easter Rising, renamed the ground ‘Wolfe Tone Memorial Park’. Today local residents share fond memories of that park as their childhood playground and communal garden, while photographs reveal the old park as a popular sanctuary for respite in a busy city-centre. 1Dr. Steevens' Hospital (1733). 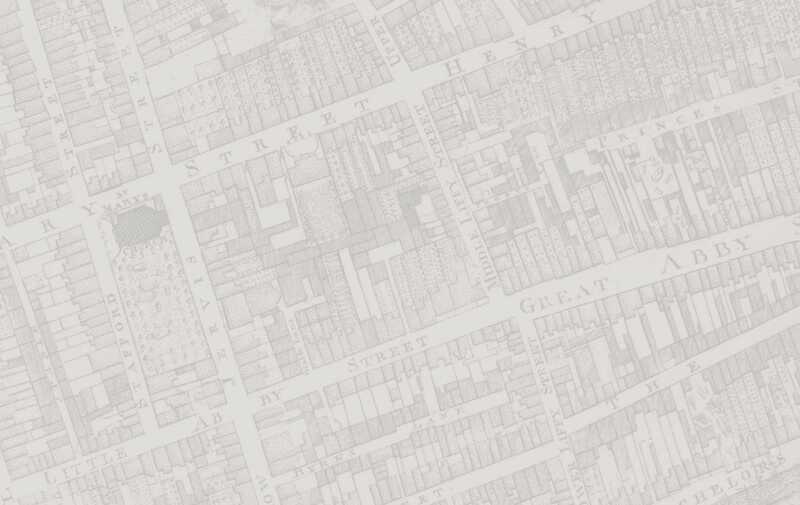 Mercer's Hospital (1734), the Rotunda (1745), the Meath Hospital (1753), St. Patrick's Hospital (1753), and Sir Patrick Dun's Hospital (1792). 2 United Irishman Archibald Hamilton Rowan (1751-1734); Mary Mercer, founder of Mercer's Hospital (died 1734); Philosopher Francis Hutcheson (1694-1746); Lord Norbury (1745–1831), the “Hanging Judge”; Sir Boyle Roche (1736–1807), an Irish politician. Wolfe Tone was one of the leaders of the United Irishmen. He was born in Dublin in 1763 and became a lawyer. He was a Protestant yet like many of the leaders of the United Irishmen he wanted to seek rights for his Presbyterian and Catholic countrymen. The men of no property. 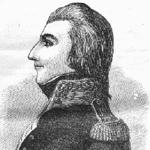 In 1795, Wolfe Tone left Ireland for America to escape arrest. He then went to France requesting soldiers to help with a revolution in Ireland. In 1796, Wolfe Tone sailed from France to Ireland with a fleet of thirty-five ships and about 15,000 soldiers. However, the ships got caught in terrible storms. Some ships sank and the sailors were lost. Many French ships waited off Bantry Bay for calmer weather but in the end they returned to France. Tone himself had sailed in a French raid at Donegal in October 1798 but was captured, taken to Dublin and court-marshalled. He requested that he be afforded the death of a soldier, to be shot, rather than hanged. His request denied he died in Provost's Prison in Dublin of a neck wound in November 1798 at the age of 35 years. 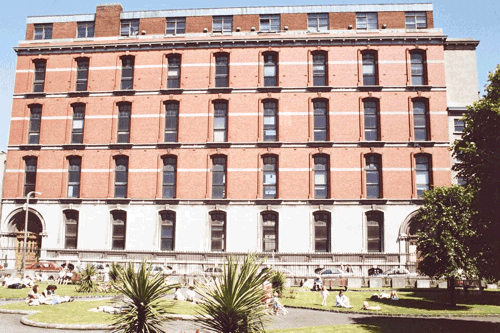 Jervis Street Hospital Oldest Voluntary Hospital in Ireland & Great Britain. 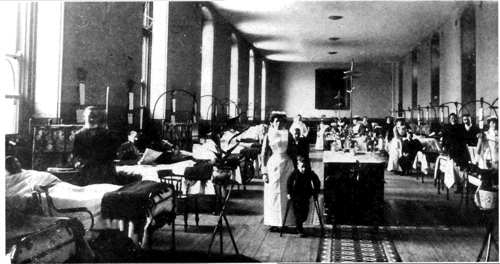 The Charitable Infirmary is the oldest voluntary hospital in Ireland and Great Britain. 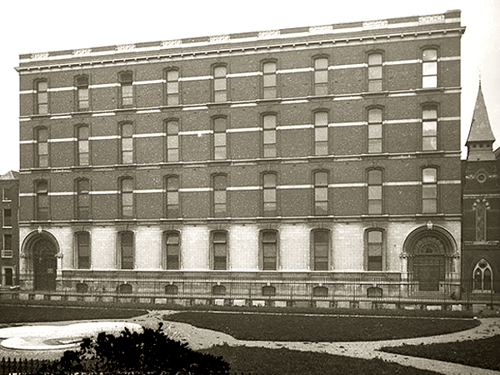 Founded in 1718, it served the citizens of Dublin for 270 years. Over it's three centuries of existence it was witness to the social and cultural vicissitudes of a city that witnessed the splendour and poverty of the Georgian era, the depression following the Act of Union, the excitement of Catholic Emancipation, the industrial and scientific progress of the Victorian age, the misery of the Great Famine, the Easter Rebellion and the Civil War, and lastly the dramatic social changes that characterised the history of the ninetieth century. The hospital was closed in 1987 and the site redeveloped as a shopping centre, car park and apartments that opened in 1996.